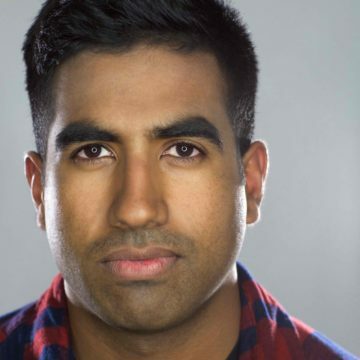 Rishi Menon is a studio singer, vocalist and voice actor based in Pasadena, CA. He graduated from UCLA and spent 4 years as a member of the Scattertones a cappella group – while attending, he led production on their latest album, Being Young. The album went on to earn 5 CARA award nominations, including Best Mixed Collegiate A Cappella Album. His vocal work has taken him all over the place – from singing for a feature film to sharing the stage with John Stamos in a live concert of Willy Wonka & The Chocolate Factory, and recording lead vocals for a new Disneyworld show. You can check out more of his info and credits on his website. He’s excited to spend the holidays singing with you and your loved ones!